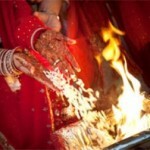 You might be wondering about how Hindus living in London or any Western area might be conducting their weddings. 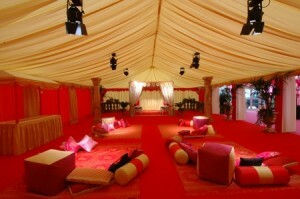 But a superb option is now available for Hindu weddings in London – wedding in a marquee! 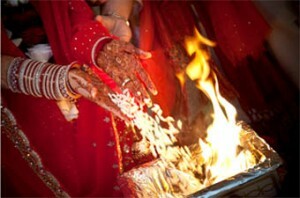 London’s Wembley area has a large Hindu population who require to conduct their weddings in their homes. No wonder, the idea of wedding party marquee in London has got a great popularity. These marquees have now been evolved and become more bespoke and stylish so that decoration as per your wish and a wedding of one’s dreams is now possible. The marquee hire services also offer items like tables, chairs, cushions, soft seating and even mehndi decorations for the marquee as well as for home. 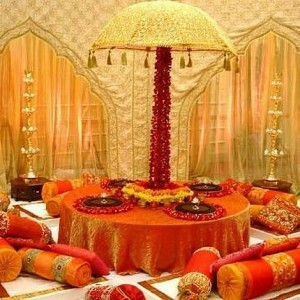 What’s more, they decorate the homes and living rooms to bring in that special party atmosphere. Not only Hindus, but more and more non-Hindus also are now preferring to celebrate their big day in marquees, because of the typical rustic feel a marquee provides. Wedding ceremony can take place in a church, but for the reception, more and more couples are getting fascinated with the idea of a marquee party. According to the needs of wedding parties, there are different types of marquees. Here are some. If you aim at a lavish and luxurious wedding, a framed marquee is the best bet for you, though it is quite expensive. It offers a glamorous setting, perfect for your dream wedding. It is built on a strong metallic frame and has a hard flooring, structured walls and windows therein. All modern amenities including aircon, heating and lighting are provided in a framed marquee. 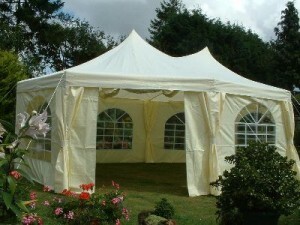 This type of marquee is perfect if your wedding will be attended by a large number of guests. It can also be sectioned using additional walls. An Indian or Bedouin marquee is quite flexible because it can be erected on a traditional poled design or a frame, and can be even a canopy or an open pavilion. Its significant feature is its interior décor which is luxurious and exotic, displaying vibrant colors and sumptuous Indian or Moroccan fabrics draping across walls and from ceiling. This marquee is not only perfect for Moroccan or Asian weddings, but also perfect if you desire an outdoor wedding with a quirky substitute to a traditional marquee. 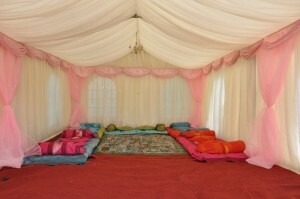 Furniture in this type of marquee is often low, with cushions on floor where guests can even recline. A canvas marquee is a traditional marquee perfect for small places like your own backyard or garden. You can remove their sides if weather is good, but they are not wind- and water-proof, if unluckily rains step in. They are erected using poles with tent pegs and guy ropes to help them stay upright and secured to the ground. As a canvas marquee is usually preferred for a garden wedding, it can be accessorized easily with wrought iron furniture and trailing flowers, and a real charming effect can be accomplished. For weddings in late summer or spring and early autumn, a canvas marquee is ideal. Tepee-style marquee is erected on a tripod pole arrangement, with internal guy ropes and uncovered beams. Indian or cowboy style tepees are perfect for additional shelter if you want an outdoor drinks reception or a full outdoor wedding is also a fun idea where many tents are connected to each other to form a tent village! Tepee marquees are perfect for a Western themed wedding, a beach wedding or even a summer barbeque. 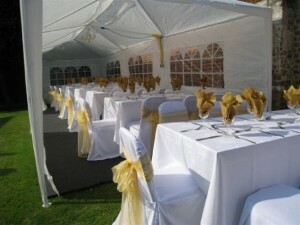 A marquee hire is a great cost-effective option too. 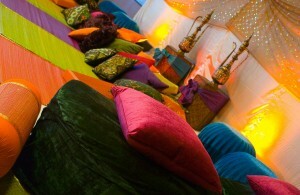 Plus you have ranges of options from simple to stylish, with cushions, umbrellas, draping and many more decor items. So, if you want to have a luxurious wedding in London, you have lots of options for marquees.